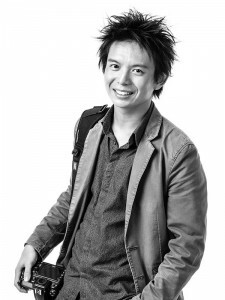 My name is Julius Pang and I’m the founder and managing director of Incredible Photo Tours. In 2003, I travelled for the first time overseas independently, visiting Japan during the middle of winter for 7 weeks. During that trip, I picked up my first digital camera (a 4MP Canon G3!) in the electronics mecca of Akihabara, saw snow for the first time in my life in Kyoto, learnt snowboarding in the amazing powder snow of Hokkaido, and experienced incredible kindness and generosity from Japanese strangers. I caught the travel and photography bug on that 2003 trip and since then I’ve visited many other incredible countries around the world and become a professional photographer. I travel because I want to experience new sights and sounds, immerse myself in different cultures, go off-the-beaten track, and learn more about this amazing world we live in. My camera is a constant companion whenever I travel. I love capturing the sights and moments that I experience as I go from place to place. I’ve been fortunate enough to have been awarded for my photography work but I am always pushing myself to improve. For many years I have dreamed of taking people to places I’ve explored and to share my knowledge and love of photography. I’m able to realise that dream with Incredible Photo Tours! If you’ve ever wanted to travel to exotic locations and improve your photography at the same time, Incredible Photo Tours offer a unique combination of photographic exploration, expert tuition, and travel fun! I hope you can spend some time looking through our tour and course offerings. You’ll find great value and unique itineraries, all designed to provide you with exemplary training and the best photographic opportunities in incredible places. I look forward to seeing you on one of our tours or courses soon!